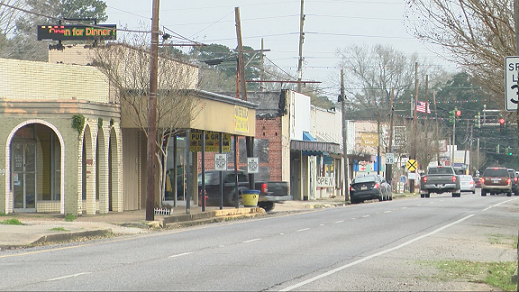 Business leaders are teaming up in a new effort to revitalize downtown Ville Platte. “Potential and opportunity. We are so looking for growth.” said Renee Brown, Executive Director of Tourism for the Evangeline Parish Chamber of Commerce. Brown is envisioning a downtown that has more businesses and foot traffic. “And start by changing the looks of buildings by painting and cleaning up and putting together a litter of projects and effort then hopefully start bringing new businesses, more businesses downtown.” she added. James Catoire who opened a flea market in downtown Ville Platte seven months ago says he is on board with the plan. “I believe this can be a start of redoing downtown where everyone can come and see what’s going on here.” said Catoire. Rhonda Butler is the vice chair of the Evangeline Parish Foundation adds they working with UL to get a grant to fund the revitalization effort. “We have some of the best culture food and music and we’re hoping to exploit that we just gotta up our game.” explained Butler. For Brown, it comes down to one thing. “It’s just going to have such an effect when it comes to pride, commitment, involvement and its going to change people and that change is going to help this community to develop and to grow.” said Brown. The next steps are to start painting buildings downtown, bringing shows to the area and adding a monthly farmer’s market.